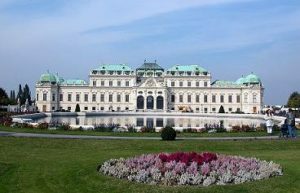 The Belvedere Palace consists of two Baroque palaces: the Upper and Lower Belvedere. 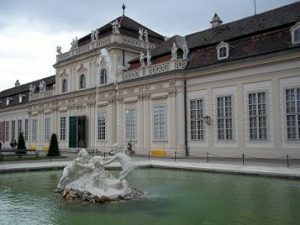 The palaces were built in the 18th century as a summer residence for Prince Eugene of Savoy. The Lower Belvedere was build between 1714-1716. It includes the Marble Hall, the state bedroom, Hall of Grotesques, Marble Gallery, the orangery and the palace stables. Construction of this palace took place between 1717 and 1723. In the World War II the palaces were heavily damaged by bombs but restored after the war. The Upper Belvedere houses not only many Austrian art pieces but also the world’s largest Gustav Klimt collection. Admission & opening hours Opening hours for the Lower- and Upper Belvedere and Orangery are daily between 10.00 - 18.00 The Belvedere ticket includes the Upper Belvedere, Lower Belvedere, Orangery, Palace Stables and Augarten Contemporary. Price is €14. Children & teenagers (up to age 19) are free. Students and seniors pay €10. A ticket for only the Upper Belvedere cost €9.50 In the Upper Belveder is a traditional Belvedere café and restaurant. Travel to Belvedere Palace Belvedere Palace is just outside the city center. 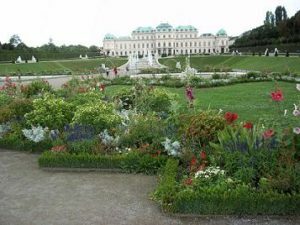 There is an entrance at the Upper Belvedere as well the Lower Belvedere. Take metro line U1, to stop Südtirolerplatz which is near the entrance of the Upper Belvedere.